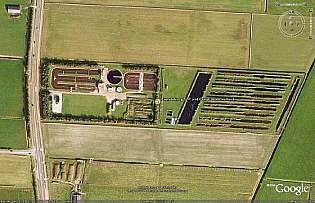 Keywords: On the island of Texel the effluent of the oxidation ditch Everstekoog is being treated in a full scale wetland system (nearly 4000 m3/day). The project shows that it is possible to change the effluent from the Sewage Treatment Plant into a more natural water with a normal diurnal oxygen pattern with very high oxygen levels at daytime. The water becomes more clear and the typical scent of treated sewage disappears. Moreover the change of sludge particles into inactive organic matter and algae contributes to a very satisfying desinfection. The removal of nitrogen and phosphorus is limited at the short retention time of just over two days. End of the project: The construction has been built as an experimental design fully adapted to stay and work for at least 10 years and still in operation. The Sewage Treatment Plant Everstekoog will be enlarged , therefore an extension of the constructed wetland is in preparation. The hydraulic retention time will go from just over 2 days to around 4 days. 11 Why is this ecological engineering? second part with submerged waterplants leading to a more natural oxygen regime. N-removal is relatively high in this system, taken into account the low concentration of N in the water flowing in the system. P-removal is very low which is normal in these situations; the concentration of the P in the water flowing into the system is also very low. The water after passing the constructed wetland is more natural than the water flowing out of the waste water treatment plant. The material in suspension is changing from flocks with bacteria till flocks consisting of plantrests and algae. Birds which are breeding in the constructed wetland are: Reed Warbler, Tufted Duck, Shoveler, Redshank. Interesting is the use by Spoonbills, which feeds on the Sticklebacks, which eat Daphnia in the constructed wetland. 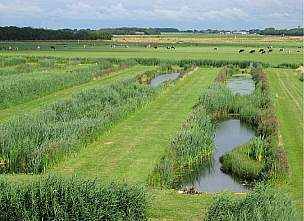 the constructed wetlands Land van Cuijk, Waterpark Groote Beerze in Hapert, etc. 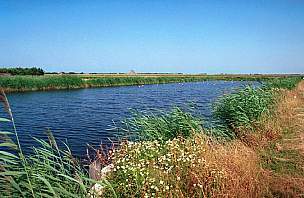 The island of Texel where the constructed wetland is situated is in the maritime zone. 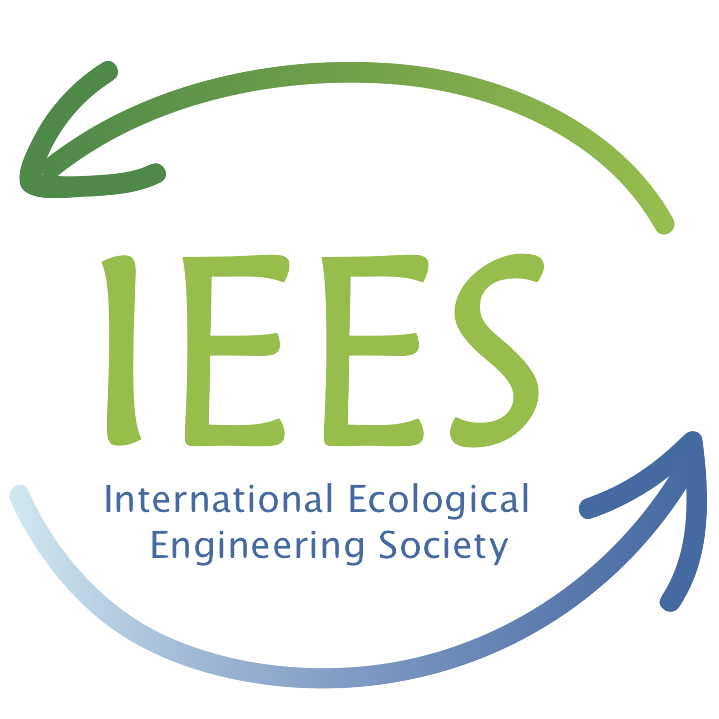 Why is this ecological engineering? 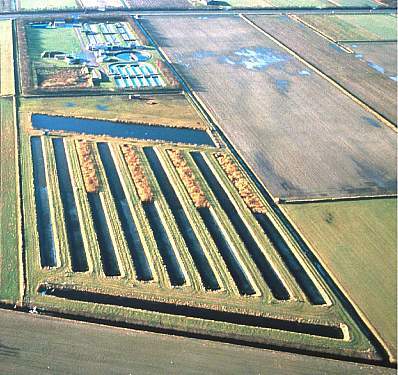 It is an example of simple use of natural infrastructure (ponds, ditches) to convert treated waste water in to a “usable surface water”, with the sun as solely source of energy.